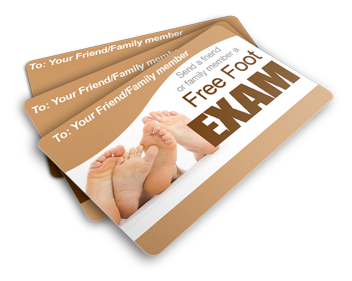 Complete the form below and you’re friend will receive an instant FREE* Podiatry Exam & Consultation & Certificate ($175 Value) that they can use anytime they want! They’ll receive the FREE* Consultation Instantly, Compliments Of You! 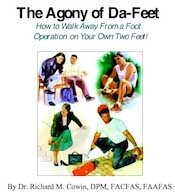 *The patient and any other person responsible for payment has a right to refuse to pay, cancel payment, or be reimbursed for payment of any other service, examination, or treatment which is performed as a result of or within seventy-two (72) hours of responding to the advertisement for the FREE*, discounted fee, or reduced fee service, examination, or treatment.